Need a Mentor? 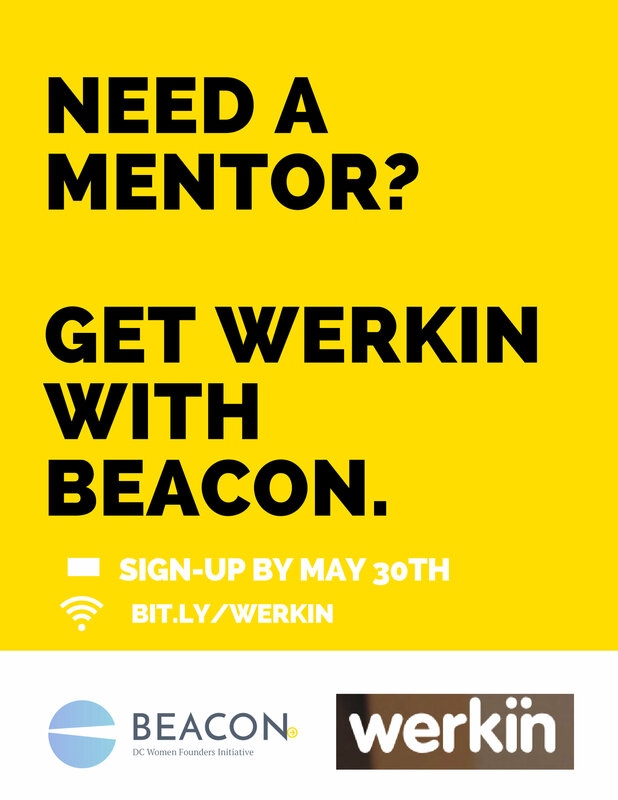 Get WERKIN with BEACON! We've partnered with WERKIN, a tech company dedicated to enhancing mentorship experiences using everyday technology. We know you're busy, so WERKIN is here to help you integrate mentorship into your routine, in a way that works for you. This platform connects and supports relationships between mentors and mentees -- and we want you to take part, for free! Through a six-month mentorship program for women-owned businesses, you'll have the opportunity to build new partnerships and develop your skills alongside the mentors you need. We're looking for both mentors and mentees, so sign-up today! 1. Review Frequently Asked Questions and Platform Overview. 2. Complete this survey by May 30th. Your data is confidential and will be used to match you with your mentor/mentee. Note: The survey is entitled, "BEACON Sponsorship Program." 3. Hold 10am-12pm on June 12th. An invitation to the program launch and demonstration will be sent after your survey is completed. Please let us know if you have any questions by sending a note to thebeacondc@gmail.com with the subject line, "WERKIN." If you know other women entrepreneurs or mentors that would be interested, feel free to forward this message along.